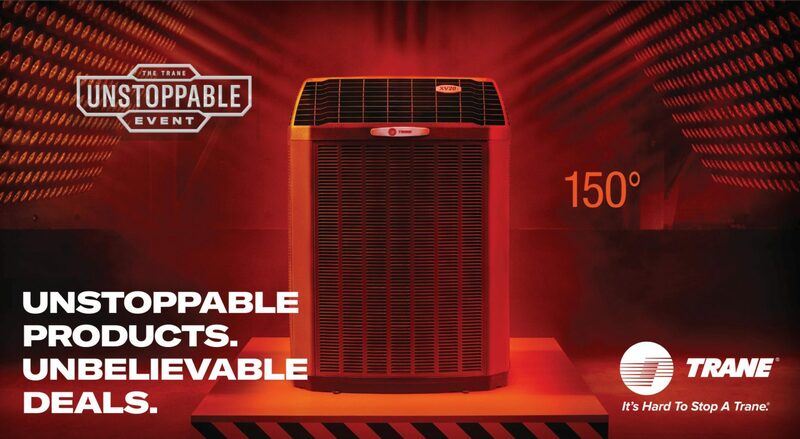 2019 Trane Unstoppable Event: 0% APR for 48 Months* on a New Central Air System! What is your HVAC situation? Need a New A/C System? The Trane Unstoppable Event is running NOW! Remember last summer? It was a hot one, wasn’t it? Well, this summer will be no different so making sure that your AC is in tip-top shape is very important. The good news is that this spring we have some great deals on brand new systems that will keep your home comfortably cool on even the hottest of days. Don’t just trust anyone to work on your HVAC system. It’s an important job that can make the difference between having a comfortable summer and one spent trying to figure out how to keep yourself cool. Our expert technicians are ready to take care of your systems like we would our own. Best of all, by choosing Maichle’s you don’t get just an awesome team of highly trained technicians, but you’ll also benefit from our commitment to outstanding customer service. It’s a win-win!